Tethering is the act of sharing your phone's network connection with laptops and other devices by connecting your phone via USB. Wi-Fi tethering is sharing that same connection, only wirelessly. While many smart phones offer Wi-Fi tethering as a paid service via a pre-installed app, Barnacle Wi-Fi tethering appcan do it for free. Most cell providers charge for tethering, so using Barnacle Wi-Fi tether is obviously frowned upon by providers. You should also be aware that tethering can use up a lot of data. Those on a limited data plan need to be aware before they incur additional usage charges. Once you have the app installed and launched, you will be able to name your Wi-Fi "ad hoc" network and secure it with a password, if desired. This security allows you to control who can access your data plan. Once named and secured, pressing the "Start" button on the main screen will broadcast the Wi-Fi signal. 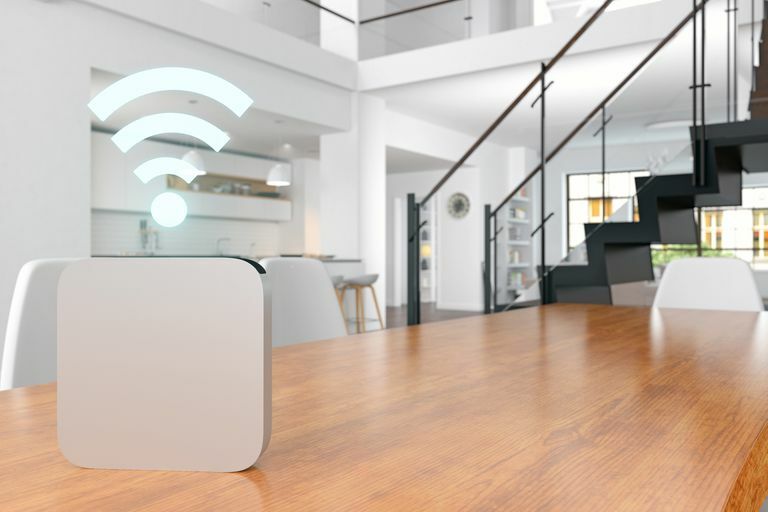 To connect on your laptop, tablet or other Wi-Fi enabled device, simply open your list of available wireless networks, select the Wi-Fi network and enter the password (if enabled). The Barnacle app will either automatically allow the device to connect, or if the automatic association is not enabled on the app, you will need to press the "Associate" button in order to allow the device to connect. Once connected, your laptop will be able to access the 3G network through your phone. The more users you have associated to the Barnacle app, the slower the connection will be. I've had as many as four connected devices, and the access speed was still acceptable — although I have noticed a significant decrease in download speed when downloading a large media file from two devices at the same time. All in all, making a connection is simple and the connection speed is fast enough to get the job done. As for reliability, I've yet to have an issue with losing a connection. (I have read, however, that users using a Samsung device have had numerous problems.) The signal strength is a bit weaker than the Wi-Fi Hot Spot feature on my Incredible. I've tested the signal strength and found that it is strong for about 40 feet before it begins to drop off in strength quickly. Surprisingly enough, the signal worked fine from about 20 feet, despite being separated by a wall. As you probably know, rooting a phone voids its warranty, and it can result in "bricking" (or destroying) your phone. While many choose to root in order to have access to apps like Barnacle Wi-Fi Tethering, many do not want to take the risk. Rooting is a personal decision. The other question is whether or not apps like Barnacle are legal. In effect, this apps allows you access to a service that you'd normally be charged for without any cost. This may violate your phone's Terms of Service, and it would likely be frowned upon by your carrier. It may even be illegal—though there doesn't seem to be consensus. I use the Barnacle app when I need to connect my tablet to the Internet and when traveling. I like the security of knowing that my data is going over my own network and not a non-secure hotel network. I always secure my Wi-Fi network with a password and never leave the app running when I don't need network access. The app is simple enough to setup and connect to, and turning it off when I am not using it gives me yet another level of security. While there may not be thousands of viruses that are geared toward the Android operating system, I'd rather not take the risk of broadcasting an ad-hoc network for anyone to see. In short, the Barnacle Wi-Fi Tethering app is a rock-solid and useful app that is available as a free download in the Market. For me, it works fine, and it works when I need it to. If you would rather use the app without ads and are a fan of widgets, choose the $1.99 version. This option has the same capabilities, but there are no ads.